Being on social media is second nature for most brands today, but if you want to make the most of it, you need tools to help you understand what’s being said and by whom. Social media analytics tools come in many shapes and sizes – from free and niche to enterprise level and comprehensive. Below, we’ve compiled a list of free social media analytics tools that'll help you find new insights for your brand. (It's worth noting that most of the tools here also have paid options.) To give these tools the stamp of approval, we’ve included recommendations from expert social media influencers. It's our blog, so it's only fair we start with our free social media analytics tool which gives you social media insights of what’s being said about your brand on social, across blogs, and online news sites. Free Social Search helps you measure the impact of hashtags, campaigns, events, and brands - across all the major social media and social channels. 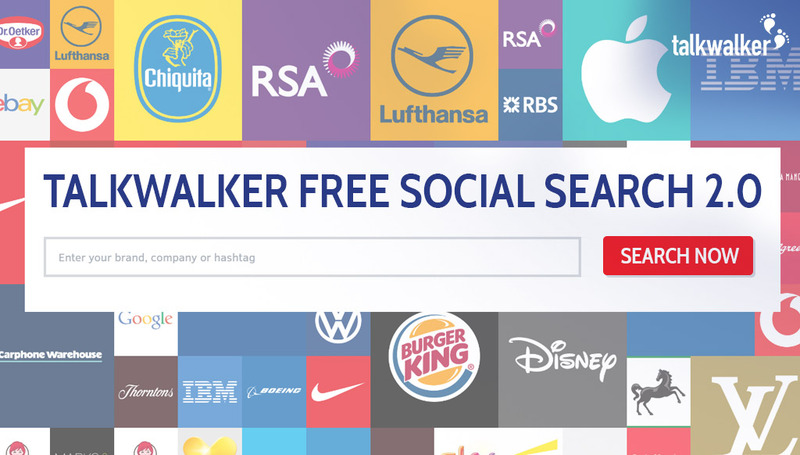 Here's what Chopped.io Founder, Charlie Williams (@pagesauce), thinks of Free Social Search, "Talkwalker’s Social Search offers some excellent social media analytics, even with the free option. With filters for blogs, forums and social media channels you can get a great snapshot of how a brand or keyword is being used by the public, and measure it over time with the full product. A really nice feature is that as an official Twitter partner, you should have access to a comprehensive amount of data." Free Social Search offers unlimited searches - simply enter your brand, campaign, or hashtag and measure the impact across all the major social media and online channels. It's the ideal tool for marketers, PR professionals, small business owners, and corporate communications officers. What can Free Social Search do? Hashtag tracking will find the perfect match for your content. If that's not cool enough, it'll also monitor your competitors' hashtags. 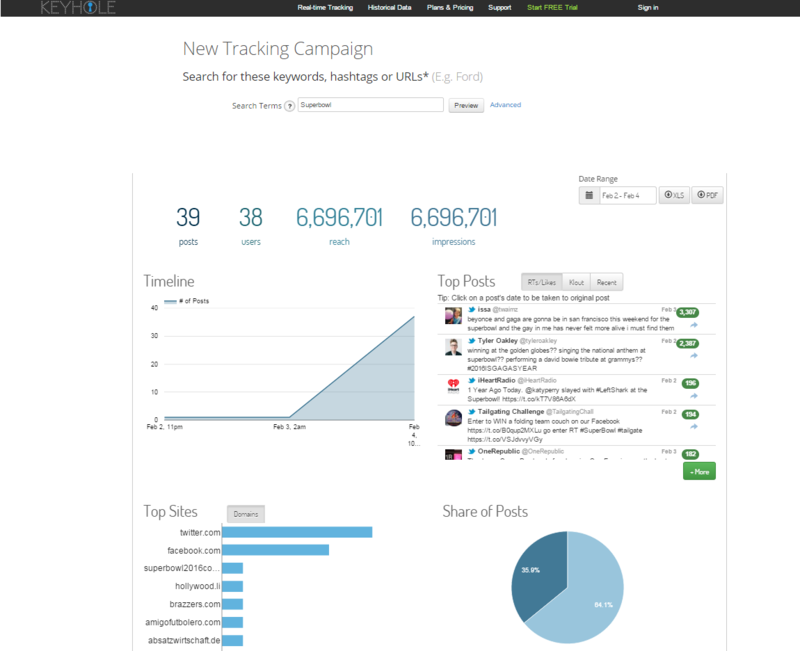 Campaign tracking shows where your campaign is making an impact - Twitter, Instagram, Facebook, online news, blogs, or forums. Your resources can then be allocated more effectively. 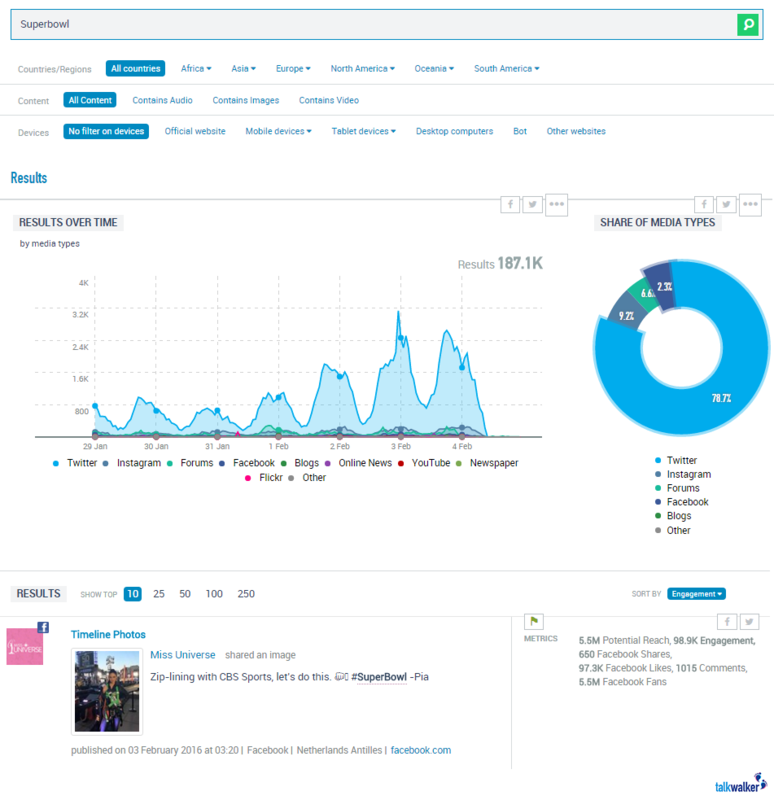 Event performance gives you real-time insights by tracking your event hashtag. 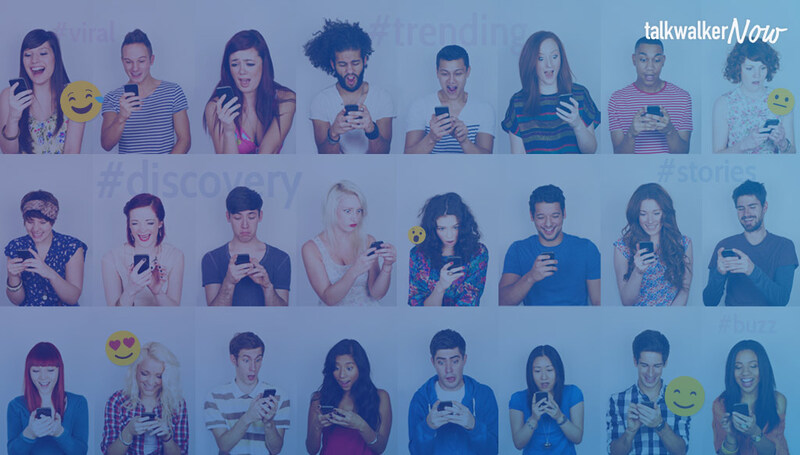 You'll find the trending subjects of chats, and posts with the highest number of shares. Brand reputation is monitored by watching KPI metrics such as mentions, sentiment, engagement, and reach - for the previous seven days or minute by minute. Using a social media analytics tool like Free Social Search means you can look up virtually anything you like; finding data insights about the topics that are important to you and to your brand. According to a Pew research study, 42% of online women in the U.S. now use Pinterest. With 100m active monthly users, the site is a marketing force to be reckoned with. If you're a business user, Pinterest’s Analytics tool gives you detailed performance insights. On your front page, the dashboard view shows impression stats for your profile and audience, as well as your top performing pins. On the audience side, Pinterest Analytics breaks your viewers down by gender, language, country and even metro areas to help boost your marketing efforts and identify your competition. One of our favorite features of the tool is the Interests tab you can find under “Your Audience”. This neat little section shows you your audience’s interests, complete with clickable pictures. It is however worth mentioning that they aren’t shown according to popularity, so bear that in mind when using this feature. If you want to find out more about how to best use Pinterest Analytics for your brand, here’s a great guide. "One of the best sources for Pinterest Analytics resides at Pinterest itself. 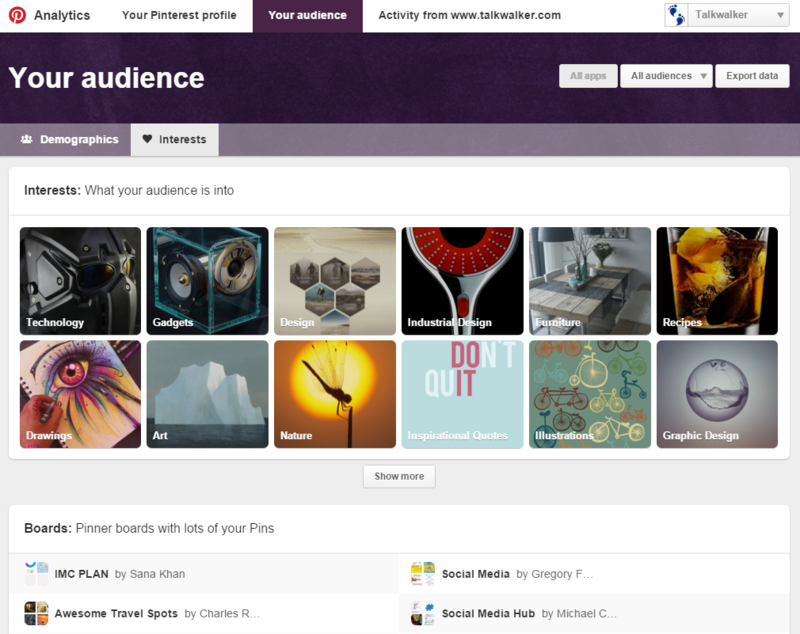 From the Pinterest analytics dashboard, you can see insights into every relevant aspect of your Pinterest marketing. The dashboard shows growth in impressions and followers, audience stats, and website engagement." Keyhole’s free search lets you track brands and campaigns with a visual dashboard with several charts and graphs. It even includes a topics cloud to show you what the most popular words associated to your search terms are. The dashboard view includes stats such at RTs, replies and original posts, a timeline of how popular your topic is and the top domains. Note that the preview contains sample data. To take your social media analytics further, you can see the top sources for your query, as well as location and demographics data. With an option to save your search, you can track future posts, and also download your report. 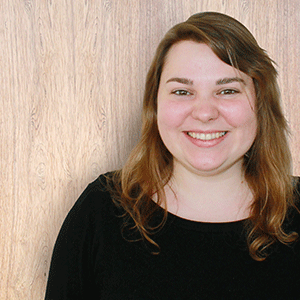 "I really like Keyhole’s interface – it’s simple, but that keeps it slick & fast. The data you get on a hashtag or topic, including top influencers, geo-location, trends over recent days and so on means you can quickly achieve a lot of marketing tasks." SumAll offers a premium and a free basic version. The free plan gives you an interactive social media dashboard for a nice overview. You can integrate accounts from social platforms like Twitter and Facebook, but also Vimeo, Tumblr, Moz, MailChimp, and Google Analytics. There’s an option for daily and weekly digest emails and an option to send automated performance and thank you tweets – a feature that proved a bit tricky to disable in our test. SumAll has great visuals and you’ll need to set up an account to use the feature. * Unfortunately, SumAll is no longer a free tool. You can enjoy a 7-day free trial, but then it's $99 per month. Still a pretty cool tool though. ViralWoot is another Pinterest tool that helps you make the most of your Pinterest numbers. Unlike Pinterest Analytics, it can be used with personal accounts and it’s also a tool aimed at growing your following through ‘seeds’. The idea is that you can look for other ViralWoot users in your interest topics, earn seeds by following them and then give people seeds in turn for following you. There’s also an easy option to schedule pins in advance. When it comes to monitoring your account’s performance, their free tool is not as powerful as Pinterest Analytics, but they’re working on new features, so it might be worth checking back from time to time. 80 Of The Hottest SEO, Social Media & Digital Analytics Tools For Marketers "The platform allows you to gain followers by being displayed in the ViralWoot database, promote pins, create pin alerts, manage multiple accounts and get analytics on each of these items." Followerwonk is a free Moz App that allows you to monitor your Twitter account social authority rankings, giving you a detailed breakdown of your followers and activity. For a price, you can access several profiles and enter other Twitter handles, your competitors for instance - love it! Dig deep and find useful stats about your followers including who they are, where they're located, when they tweet, how many followers they have, and who they follow. 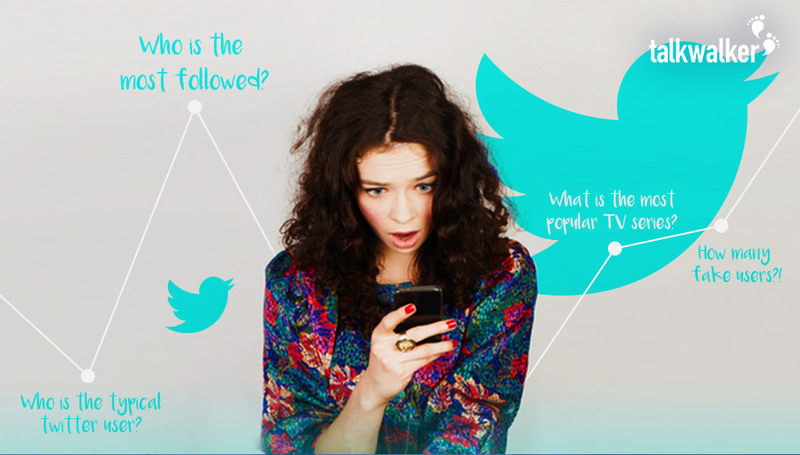 Followerwonk stats give you insights that'll help you optimize your social online presence; increasing brand awareness and customer loyalty. Easy searching of Twitter bios means you can find and connect with anyone, plus take a look at competitors and find what's working for them. Being able to compare your Twitter account with your competitors or industry leaders opens the door to finding new influencers for your brand. Build Links Like The Pros: 13 SEO Tools That'll Skyrocket Your Rankings "Some of the best opportunities for link building can be found on social networks." "The first step to using the tool is to find influencers in your niche. After you target these influencers and build a relationship, the opportunity for gaining a backlink is much greater." The free version of Quintly is an online social media analytics tool that allows you to track three Facebook pages simultaneously. You'll be able to see the main engagement metrics such as likes, comments, shares, and follower growth. You can compare your stats with your main competitors to improve your social media marketing strategy. If you're prepared to pay, this dashboard tool will cover multiple Facebook pages, Twitter, Google+, LinkedIn, Instagramm, and YouTube. The dashboard can then be customized to suit your business needs and track the metrics that are important to you. Using Quintly for Social Media Growth, Content, and Competitor Analysis "While it's the same information you can find in Facebook Insights, having them in Quintly lets you sort various metrics, and see what content is getting clicks, which is winning your fans, which is losing your fans, and which is generating conversation." 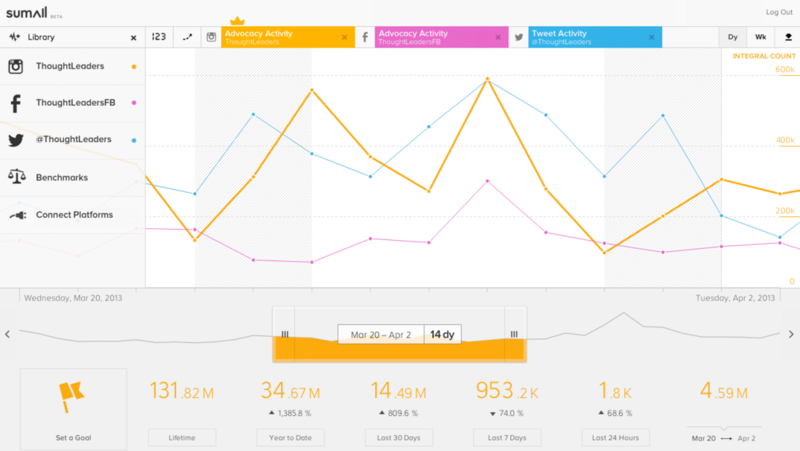 Want to share your thoughts on social media analytics tools and the best ways to use them? Let us know in the comments below.